Eight year ago, when I first launched Hypergrid Business, virtual worlds offered a unique set of compelling features. There was presence, and immersion, and the ability to create your own virtual environments. Plus, they also had other benefits that, combined with the unique features, created a potentially world-changing technology platform. At that time, virtual worlds were the only visible path to an interconnected metaverse of virtual environments. It was an exciting vision, and many people — including myself — got into virtual worlds as much for the possibilities they promised as for what they were actually able to deliver in the present. Lately, however, I’ve noticed that virtual reality platforms have been elbowing their way in, adding more and more of these key features. Virtual worlds aren’t the only visible path to a metaverse. Instead, while they may have laid much of the groundwork for current thinking about our virtual future, the technology itself has reached a dead end. Let’s look at what they offer, the things that got me the most excited way back when. This is obviously the big one for virtual worlds. You log into Second Life — or World of Warcraft, or your favorite OpenSim grid — and as you start moving around in the virtual environment and interacting with other people you get caught up in it and start feeling as if you are actually inside the world. It’s a bit like being caught up in a book or a movie. Everything else just fades away. Except more so. I’ve gone windsurfing and paragliding and biking, met with friends and attended events, and it almost felt like I was there. In fact, my memories of these experiences are almost indistinguishable from my memories of real-world events. I don’t remember in-world meetings the way I do phone calls, or even video calls. I remember them the way I do meetings that I attend in person, in the physical world. Movies are more immersive than books because the sound and images help pull you in quicker. Virtual worlds are more immersive than movies because you also have the benefit of interactivity and your identification with your avatar. Virtual reality ramps that up a hundred-fold. Even the lowest-end, mobile-based $10-viewer virtual reality experiences are more immersive than everything else combined. Virtual reality is amazingly compelling. I’ve screamed when virtual sharks lunged at me, and I’ve grabbed the arms of my chair when the virtual roller coaster I was riding dropped down. The closest thing to it is those amusement park rides where you’re in a moving chair in front of a giant screen that surrounds your entire field of view. Presence is related to immersion. Not only are you caught up in the narrative, but you feel as though you personally are in the middle of what’s happening. You can get caught up in a book or movie, but you never feel as though you are in the same place as the characters. Virtual worlds and video games do create the feeling that you’ve gone somewhere else. When you and your friends launch a campaign against an ogre’s castle, or go to a virtual party, it feels as though you’ve been to the same place with them. You don’t get that feeling of presence with other media. Not even when you do a video chat with someone. Like virtual worlds, virtual reality allows the feeling of presence. One of the earliest virtual experience I tried out was the launch of the OnePlus 2 smartphone two years ago. It felt as though the company founder, the employees, and the customers featured were all speaking directly to me, that I was there in the offices with them. The feeling of presence is immediate, powerful, and very visceral. You don’t have to suspend disbelief for it to kick in. You don’t have to get caught up in the story. You put on the goggles and wham — you’re there. In fact, you have to keep reminding yourself that you’re not really in the ocean surrounded by sharks, that you’re not really riding the roller coaster, that you’re not really walking on a thin plank over an abyss. 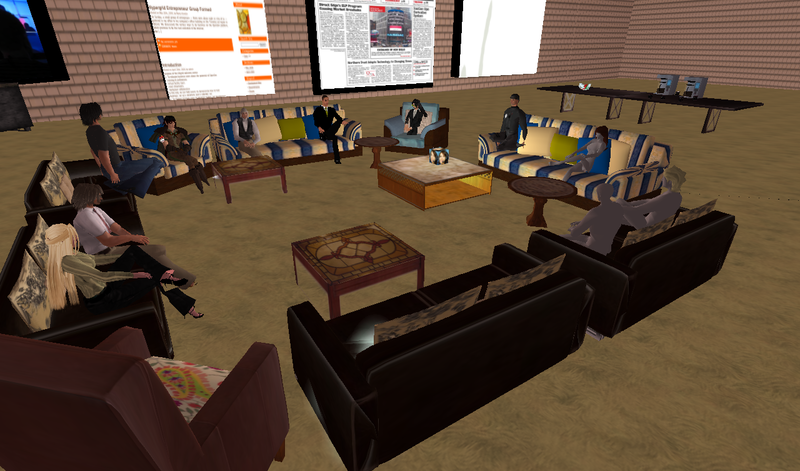 Virtual worlds like Second Life and OpenSim make it possible for users to create virtual environments. Like in the video clip below, where one of the characters from the TV show The Office became a user of Second Life. The creation tools available in Second Life and OpenSim aren’t completely intuitive, but with a little trial and error anyone can get started making stuff. I found out that becoming good at making stuff was a lot more difficult. But the combination of in-world tools, and the ability to import images and 3D models from other applications, means that the creative possibilities were almost unbounded. And best of all, you could create while standing right in the middle of your creation, like in the video below. Though the video doesn’t make it clear why he has to start from scratch every day. Was there no option to save the build? Most virtual reality experiences today are passive. They’re games, or videos, that people sit back and enjoy. However, one of the most successful virtual reality apps, Tilt Brush, allows for virtual creation. I’ve used it with the HTC Vive, and you can literally stand in the middle of your creation, and hold the virtual paintbrush in your hand to paint in the air around you. And earlier this month, Google released Blocks, which is a prim-based building tool for virtual reality. While Tilt Brush is more about free-form drawing, Blocks is more like the building tools available in Second Life and OpenSim. Other virtual reality creation tools include Gravity Sketch, Medium and Quill. Once you combine in-world creation tools, an immersive environment, and the feeling of being present in the same space with other people, you’ve got collaboration. If you’re a car manufacturer, you can fiddle with features on a new car with team members from all around the world. Architects can walk around the houses they plan to build, with their customers, and make changes right then in there, so the buyers can see what it would look like if the ceiling was a bit higher, or the walls were a different color. We’re still in the early stages of this when it comes to virtual reality. Sure, the car manufacturers have it already, but for the rest of us the best example of collaborative building today is Minecraft. We still don’t have a full, general-pupose Second Life-style multiplayer environment that people can edit collaboratively. Google did release a prototype of a multi user Tilt Brush last fall, but there’s no word yet when it will actually be available. Valve’s SteamVR Home — an evolution of its Destinations application — has some multi-user features. People can create virtual environments, explore them with friends, and interact with a limited set of props and tools. When the World Wide Web first started getting traction, one of the key drivers of growth was the various tools people had to find new sites. There were Internet directories and magazines you could buy in physical book stores. There were portals and search engines and blog rolls and discussion groups. Second Life and OpenSim offer a lot of that. There are websites that lists popular destinations, news articles, in-world directories, and so on. There aren’t any good search engines yet, however, for a number of technical reasons that aren’t likely to be addressed any time soon. What about virtual reality environments? Right now, discoverability is very fragmented. You can search YouTube with a “360 degree” video filter to look for VR videos. You can search the Google Play and iOS app stores for “VR” to find virtual reality applications. There are also app stores for the Oculus Rift, the Gear VR, the HTC Vive, and on Steam for the HTC Vive and Oculus Rift. For a multi-platform approach, try the WeArVR directory, which covers the best apps and experiences on all the major VR platforms. We don’t yet have an easy method to travel from one VR experience to another. And there’s no in-world equivalent of Google search. Remember when all the big brands were setting up shop in Second Life, and getting all that media attention for it? Those days are long past, but we’re seeing a new rush towards virtual reality marketing. And VR offers some compelling benefits over virtual worlds in this area. For example, if a brand posts a 360-degree video on YouTube, there are no limits as to how many people can experience it. Plus, users don’t have to install any additional software. If they don’t have a VR headset, the video just shows as a normal 360-degree video, where users can turn their mobile device to look at the video in different directions, or use the mouse to move the view in a desktop browser. With a headset, it’s easy to switch to an immersive, virtual reality view. Screenshot from the Goosebumps VR app. There are movie tie-ins, car ads, real estate tours, and thousands of other VR experiences already up on YouTube. Plus, several companies are developing in-app ads for virtual reality. As a result, the Interactive Advertising Bureau predicts that virtual reality advertising will keep growing. 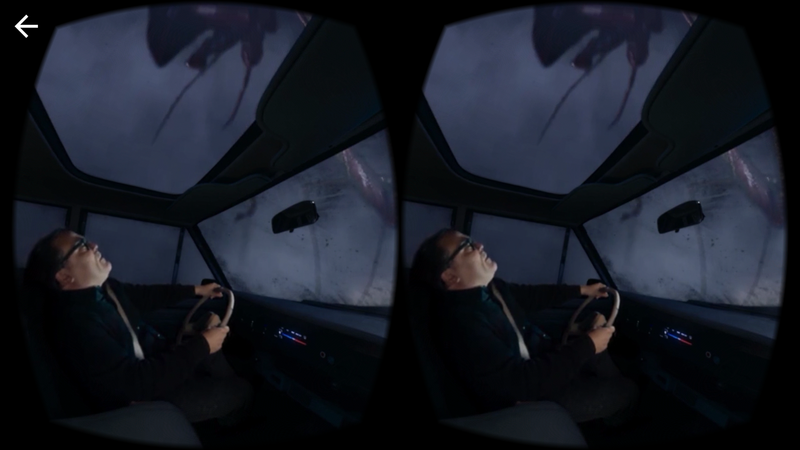 Late last month, the industry group rolled out new standards for VR ads. All the major platforms are on board. Facebook has been working on VR ads since 2015, Google is experimenting with a native, mobile VR ad platform, Unity has unveiled its Virtual Room platform for advertisers and marketers, and VR ad startup OmniVert reports that its VR ads have been seen more than half a billion times. One of the big attraction of Second Life was that users could sell stuff that they made to other users. User generated content is a driver for many platforms, but adding a financial benefit makes it just that extra bit more appealing for many people. However, the use of virtual worlds to sell real-world content hasn’t really taken off in any significant way, mostly due to the visitor constraints, problems with discoverability, and the general lack of widespread adoption of the technology. In-world content sales aren’t available yet on any major VR platform, though Linden Lab’s Sansar may change that soon. Neither is in-world payments, though both Apple and Google have in-app payments for mobile game developers, and mobile is the single most popular platform for VR by a wide margin. But as content creation platforms evolve and as mobile app developers start trying to monetize the platforms themselves, we might start to see people buying stuff right inside VR. 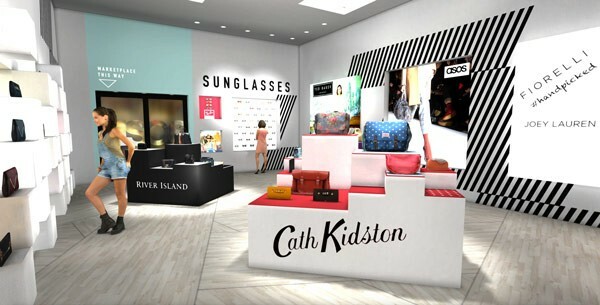 In addition, some online retailers are beginning to experiment with virtual shopping centers, especially in Asia, where mobile VR is extremely popular. 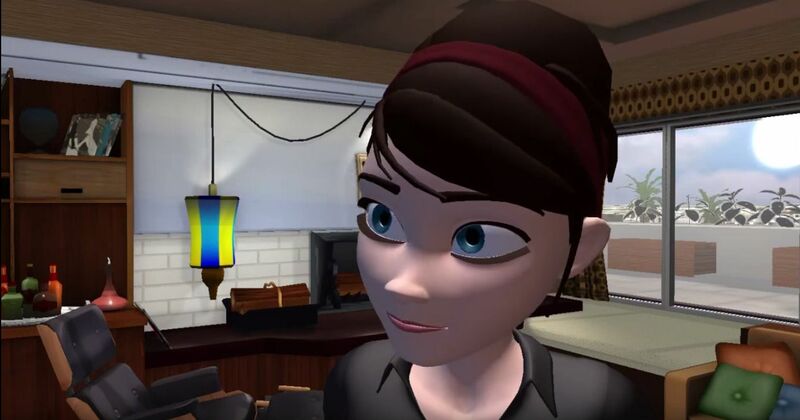 Having an in-world identity — an avatar — is one of the key aspects of virtual worlds. It dramatically helps the sense of immersion, and creates a much more compelling experience. For the most part, virtual world identities are fragmented. Each game and platform has its own avatars, with the exception of the OpenSim hypergrid. 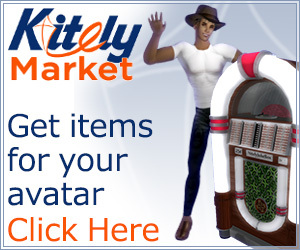 Efforts to create portable avatars beyond OpenSim have fizzled out. In virtual reality, the same is true today. Every game or virtual experience that has an avatar is separate from all others. Users can’t carry their appearance, inventories, friend lists, payment details, message histories or any other aspects of these identities from one platform to another. However, Facebook and Google, the two main virtual reality platforms today, both are strong providers of online identities. Both have non-VR avatars that can be used to log into multiple other websites and apps. So far, that hasn’t translated into virtual reality avatars, but the likelihood is high that it’s in the works. Will virtual reality replace virtual worlds? It’s rare that a new medium completely displaces an old one. Sculptures are more immersive than paintings, but we have both. Movies are more immersive than radio or books. Photographs are more accurate than drawings, and recordings are cheaper than live performances, but there’s no sign that any of these are going to go away. Video games, in particular, are well suited to virtual worlds, have very large user bases, and make quite a bit of money for those companies. The global video game industry saw more than $91 billion in revenues last year, compared to $39 billion for movie theaters and $16 billion for recorded music. However, general social virtual worlds like Second Life, and OpenSim grids, haven’t seen much growth lately. According to GridSurvey, the median daily concurrency has fallen from about 55,000 in 2009 to 40,000 today. 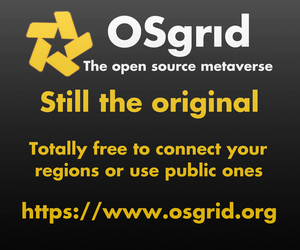 OpenSim grids have seen some user increases. 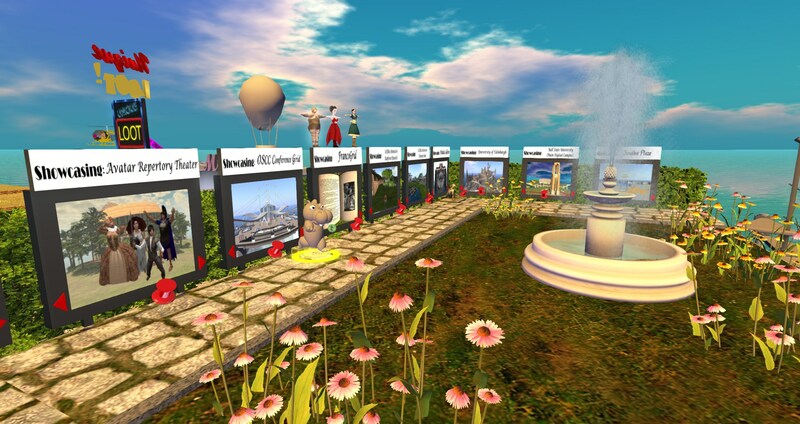 Active users have more than doubled from around 16,000 a month in 2012 to more than 37,000 earlier this year, before InWorldz stopped reporting their active user statistics. But the growth has been pretty gradual, and seems to be leveling off — certainly, there hasn’t been anything like the exponential levels of growth that’s needed to turn OpenSim into a mainstream platform. Meanwhile, Gear VR crossed the million-users-a-month mark a year ago, and Gear VR’s user base is a small fraction of Google’s mobile VR. Investment activity also favors virtual reality, with more than $2 billion invested in startups over the past 12 months, $800 of it in the last quarter alone, according to Digi-Capital. Will virtual worlds remain as their own robust medium, like books or paintings? Or will they become a niche medium, like silent movies? Or will display-based environments be a downgrade of full VR experiences, like the way you can turn off the sound and turn any movie into a silent one? Today, many VR experiences can already be down-graded. For example, 360-degree videos can also be experienced on a regular smartphone screen, without a VR viewer. If a down-grade option becomes standard for all VR experiences, will there still be a place for new virtual worlds that are purely screen-based?